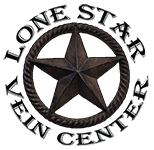 When vein disease leads to lasting ulcers and uncomfortable sores, Peter Morgan, MD, of Lone Star Vein Center offers laser vein treatments in two locations in Pasadena and The Woodlands, Texas. Dr. Morgan and the attentive medical group are with you every step of the way and remain unwaveringly committed to improving your health and wellness. Call Lone Star Vein Center or schedule online today. A leg ulcer is a long-lasting sore that takes over four weeks to heal. The ulcers typically develop just above the ankle on the inside of the leg. The symptoms of a venous ulcer include itching, pain, and swelling in the affected leg. You might also notice hardened or discolored skin around the ulcer and a foul-smelling discharge. Dr. Morgan examines your leg during your consultation and may order tests to rule out various other conditions. The most common type of leg ulcer is the venous leg ulcer, which accounts for over 90% of all cases. Venous leg ulcers can develop following a minor injury where the high pressure in the veins of your legs damages the skin. If you have varicose veins or if you’ve had a recent surgery on your leg, such as a knee replacement, you have a heightened risk of developing venous leg ulcers. How can laser vein treatments work for my ulcers? Venous leg ulcers can be both emotionally and physically challenging. If treated properly, most venous leg ulcers can heal within a few months or less. Some ulcers may take longer to heal, and a small number may not heal. To treat your venous ulcer, Dr. Morgan cleans and dresses the wound and uses compression, such as stockings or bandages, to improve the blood flow in your legs. If the ulcer gets infected, you might need antibiotics. Some venous leg ulcers may recur after treatment unless the underlying cause of the ulcer is properly addressed. Dr. Morgan works with you to address underlying causes and influential factors, such as obesity, immobility, and varicose veins. When varicose veins are the cause of your ulcers, Lone Star Vein Center offers laser vein treatments. After treating the problematic varicose veins, you may no longer experience leg ulcers, since the source of the problem has been addressed. Laser vein treatments involve the utilization of precise laser energy to close your unwanted vein. You don’t have to deal with bothersome venous leg ulcers. Visit the highly qualified Lone Star Vein Center professionals and call or schedule online.